WHAT ARE THE DIGITAL OPPORTUNITY TRAINEESHIPS? Digital Opportunity Traineeships – an EU-funded training initiative – aim to help companies fill vacancies with digitally competent candidates. Digital skills are not only required in the ICT sector, but increasingly across all sectors. Knowledge of cybersecurity, data analytics and machine learning, for example, are needed in fields as diverse as banking and manufacturing, farming and health. A computer-literate workforce is vital to maintain Europe’s global competitiveness in a fast-changing world. If you are looking for a Digital Opportunity Traineeship, you can check those we are offering now. For Digital Opportunity Traineeships materials, please visit the material page! Why should students and recent graduates be interested? Today more and more jobs require advanced digital skills but only 36% of the labour force has them. One of the purposes of the Digital Opportunity Traineeships initiative is to encourage students and recent graduates from all disciplines to undertake traineeships that strengthen digital skills. This will increase their employability and enable them to obtain valuable work experience abroad. Traineeships are open to both women and men. Women are particularly encouraged to apply as they are currently underrepresented in STEM careers. Find out more about Erasmus+ traineeships. You have to be a student or recently graduated based in one of the 33 Programme Countries participating in Erasmus+ or the Horizon 2020 Associated Countries. Before applying for a Digital Opportunity Traineeship we encourage you to check with your university if you are eligible for Erasmus+ traineeship. Students and recent graduates apply through their universities, according to the timing and procedures established by their university for Erasmus+ traineeships. Students should contact the Erasmus+ office at their university. For more information on applying, visit the website. Are living costs paid for? Trainees receive on average €500/month but the exact amount depends on the country. The trainees receive the grant via the university. As a general rule, companies are not involved in the transaction. Companies can top up this grant. Can the students stay in their country of residence? One of the objectives of the programme is to boost cross‐border mobility and multicultural exchanges, so trainees must go abroad. There are 33 Programme countries participating in Erasmus+. All the Horizon 2020 Associated Countries are eligible for the pilot as Erasmus+ partner countries. What about VET (vocational education and training) students? Digital Opportunity Traineeships only target higher education students and recent graduates. 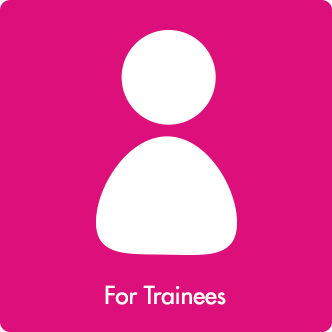 There are however other Erasmus+ traineeship opportunities for VET students. For further details on traineeships, visit the Erasmus+ website. Many companies are struggling to find candidates with digital skills that match the demands of the modern workplace. This means that hundreds of thousands of vacancies remain unfilled, despite high unemployment in some parts of Europe. Furthermore, many companies – from SMEs to large corporations – simply do not have the capacity to train students on the job, or have the resources or time to organise internships programmes on their own. The Digital Opportunities Traineeship is designed to address these concerns. Businesses already hosting trainees within Erasmus+ will find that the initiative does not imply any additional burdens. Traineeships are considered one of the more effective ways of bringing on board skilled employers. 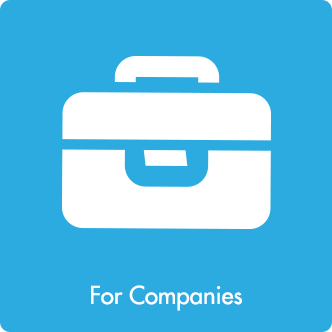 Companies can publish their offers on ErasmusIntern or advertise them through direct contacts with universities careers offices. Regional education associations and research centres are eligible for such traineeships. Companies that publish their offers on ErasmusIntern should choose the ‘Digital Opportunity’ category on both platforms To publish their offers on the platform companies need to register as recruiters on the website. Companies do not need to sign an agreement with universities; they just make offers as host institutions and sign the learning agreement with the trainee. Is there a list of participating universities? The list of universities participating in Erasmus+ by country is public and available here. Usually the contacts of the Erasmus+ office are published on the university’s website. To learn more about how universities can participate, click here. Who can be a receiving organisation? Enterprises or any other relevant workplace can host trainees. Chambers of commerce and business associations can offer traineeships and also match supply and demand and therefore become partners to universities. Who pays for the trainee’s insurance? Payment of trainee insurance will be agreed between the company and the university in the Learning Agreement signed before the traineeship starts. Students do not pay the insurance from the Erasmus+ grant. Do host institutions/companies have any responsibility to continue employment after the traineeship? There is no obligation for a host company to hire a trainee after the traineeship, nor to keep him/her longer than agreed. As per Erasmus+ rules, traineeships can last 2 to 12 months - the actual duration of each traineeship depends on the university and the company. The duration is agreed at the moment of signing the Learning Agreement. Erasmus+ is based on the Learning Agreement signed by the company and the trainee which covers intellectual property rights on material developed during the traineeship. On top of this agreement, companies can add others agreements, including confidentiality clauses.